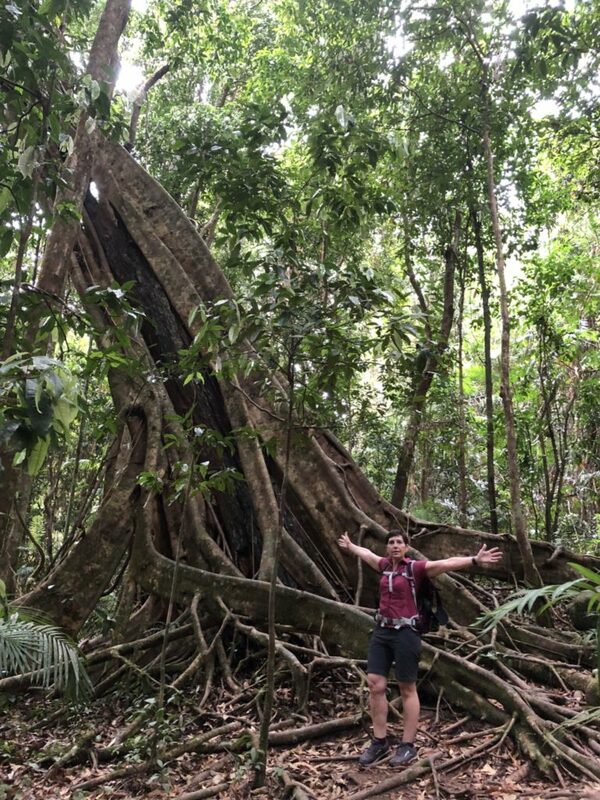 Walking through the Daintree National Park is an absolute must for everyone. 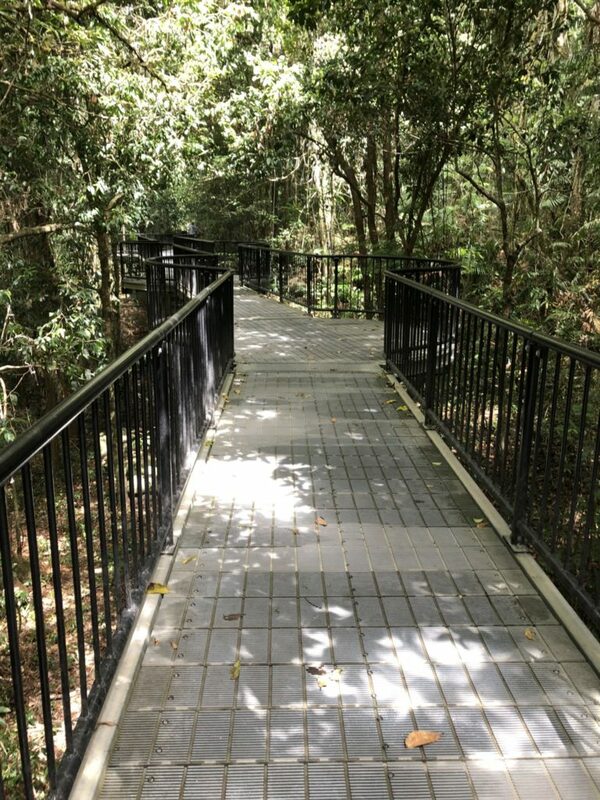 It is an easy walk and it won’t take long before the serenity of the stunning rainforest of the Daintree National Park takes hold. 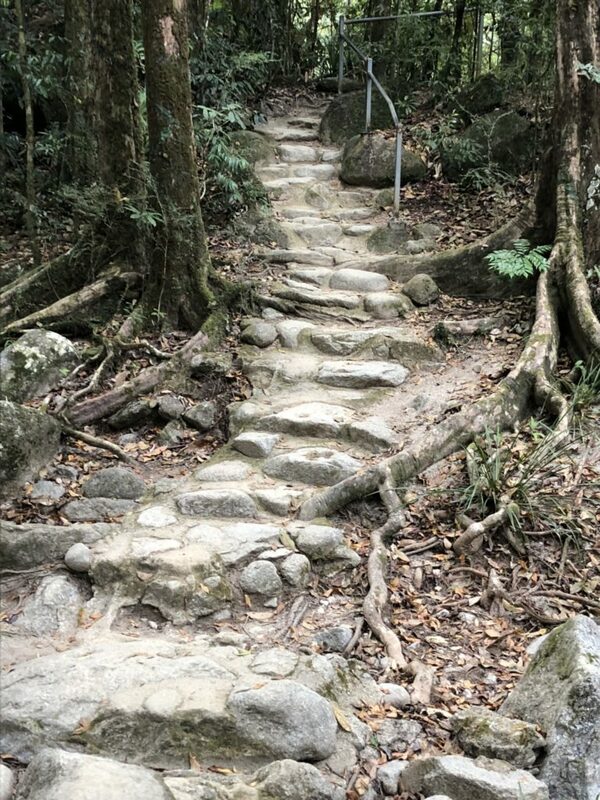 There are several short walks to do at Mossman Gorge and we did the Rainforest Circuit Track. The usual way is to begin on the far side of Rex Creek bridge. A small lookout 80 metre from the bridge provides great views of Manjal Dimbi (Mount Demi). 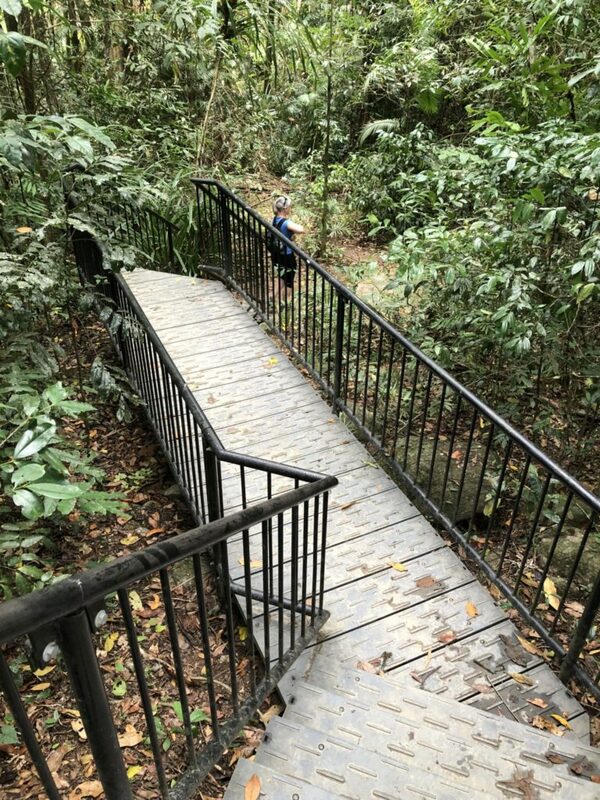 A little way past the lookout the track divides to form a circuit that meanders through the rainforest. We did the walk in reverse to avoid the crowds – there were a few times when we were walking against the flow of visitors but mostly it was fine. Tagged as 2.4km and 45 minutes return somehow, we travelled 3.7km and spent an hour and 30 minutes! 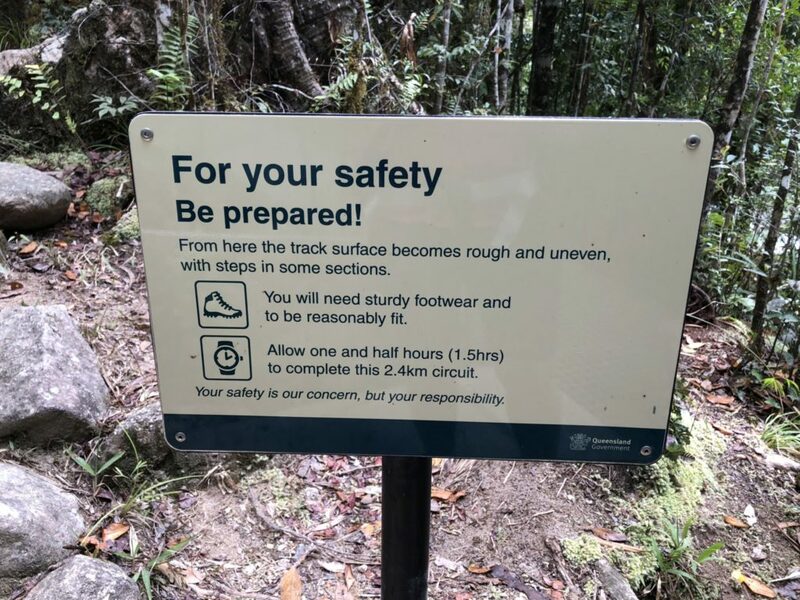 This is probably the key message for the Mossman Gorge – don’t expect to rush in and out. 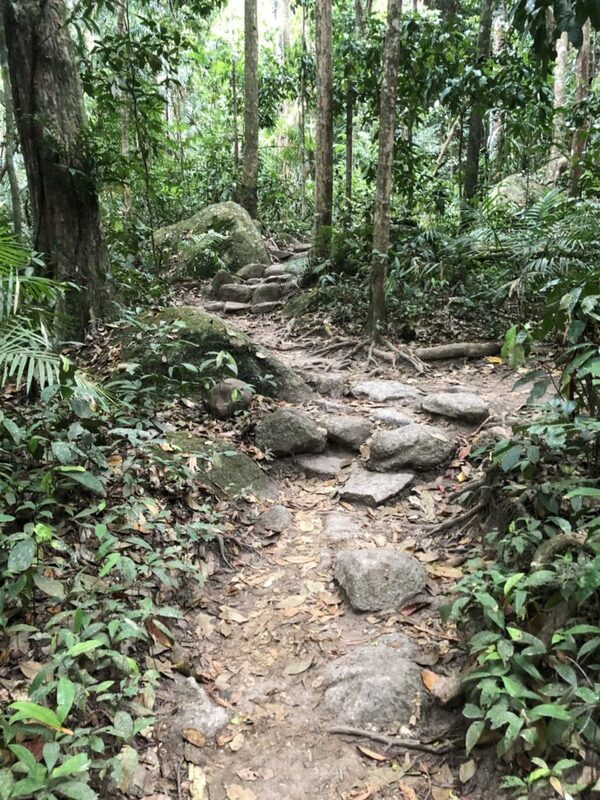 Take your time to explore the myriad of trails you encounter, it’s an experience you won’t want to rush. Even what looks like an uninteresting dead-end will provide inspiration! 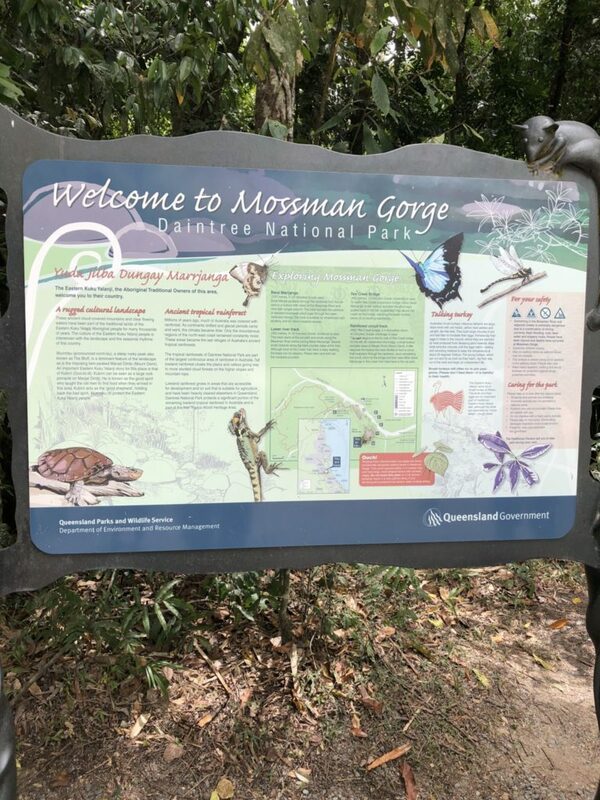 The Mossman Gorge is located within the World Heritage Listed Daintree Rainforest which is the oldest, continuously surviving rainforest on earth. 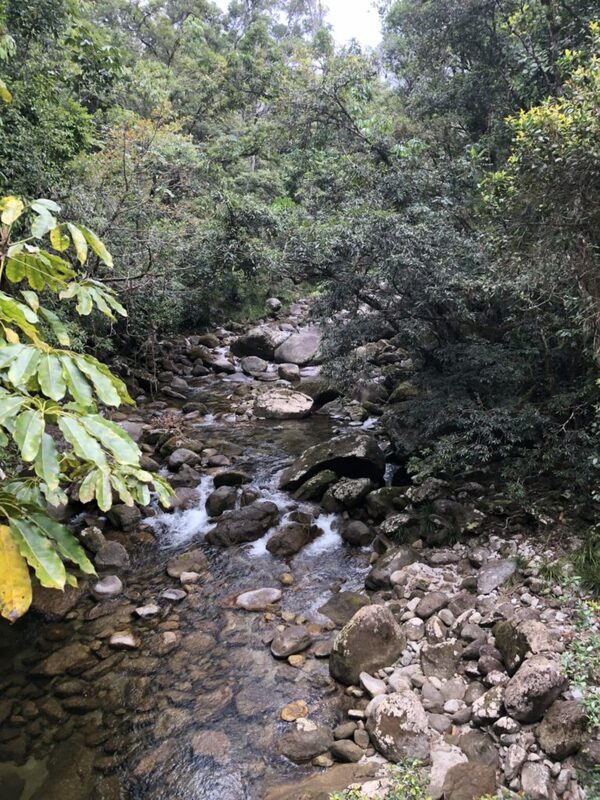 It is renowned for its biodiversity with one hectare of the 120,000 hectare forest estimated to contain over 30,000 species of plants and animals. 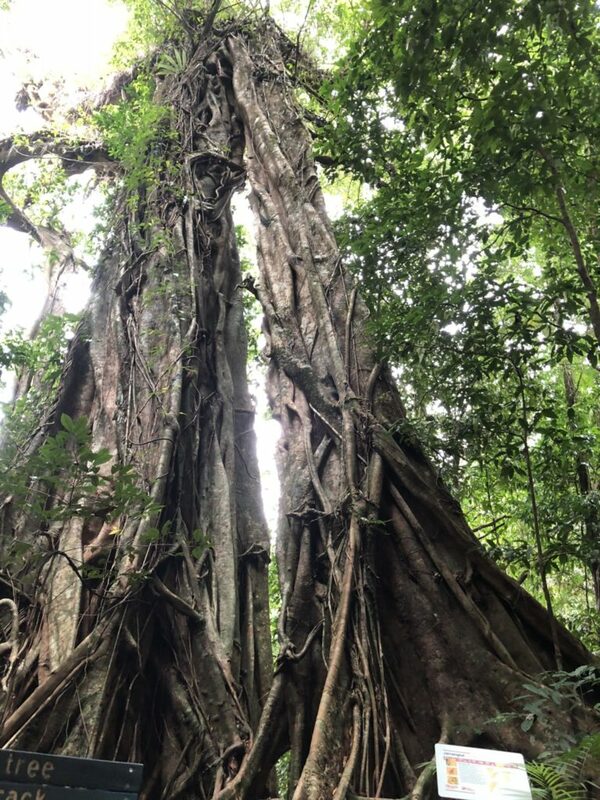 The forest is considered by many to be the ‘evolutionary cradle’ for much of Australia’s plant and wildlife species which have survived for over 135 million years. 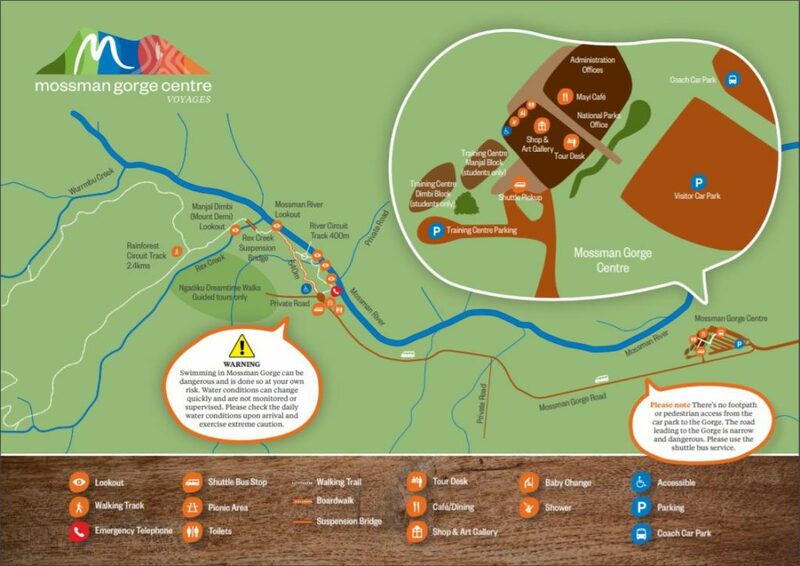 The World Heritage listing has served to preserve the area for many generations to come. 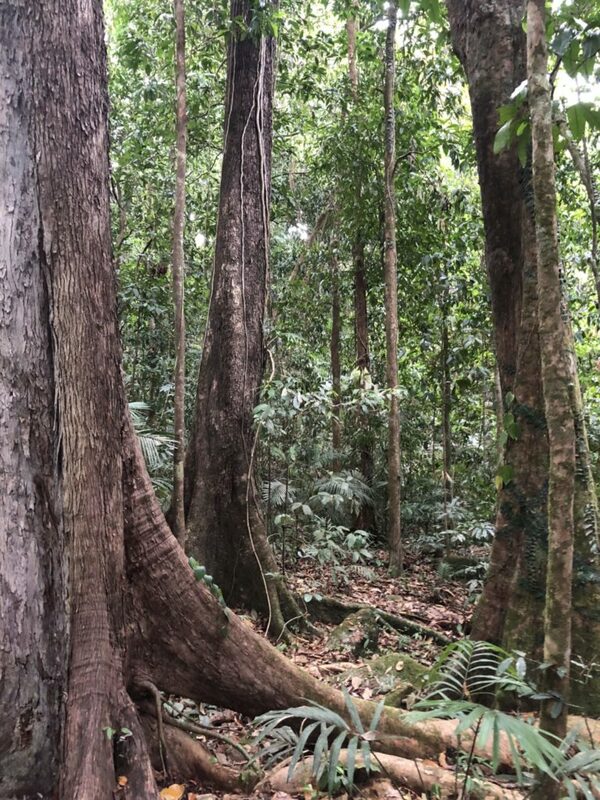 The Daintree Rainforest is home to around 3,000 plant species from over 210 families. Twelve out of the world’s 19 families of primitive flowering plants grow within the region and within these at least 50 species are found only within the tropics and rarely seen anywhere else. 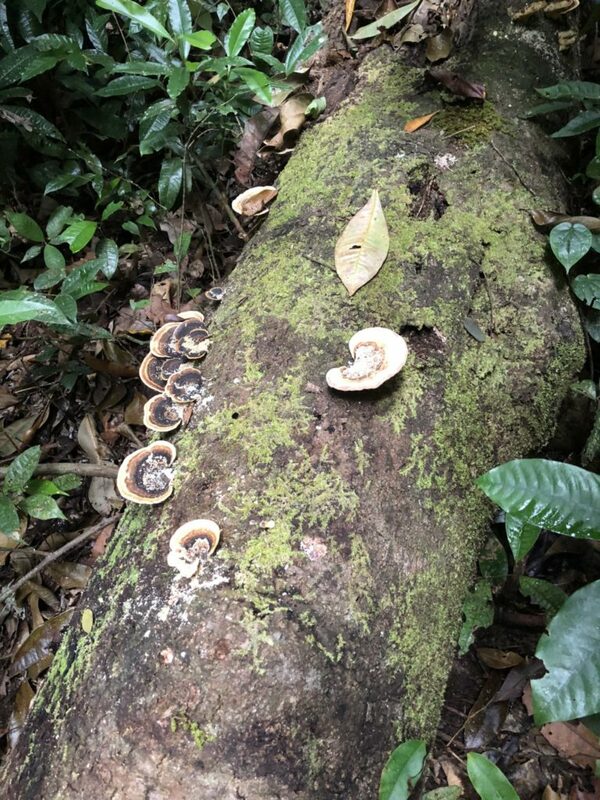 From the forest floor right up, the rainforest is beautiful with the diversity of plant life that lives deep within the forest. The plant life also forms a natural archive of Australia’s evolutionary process. 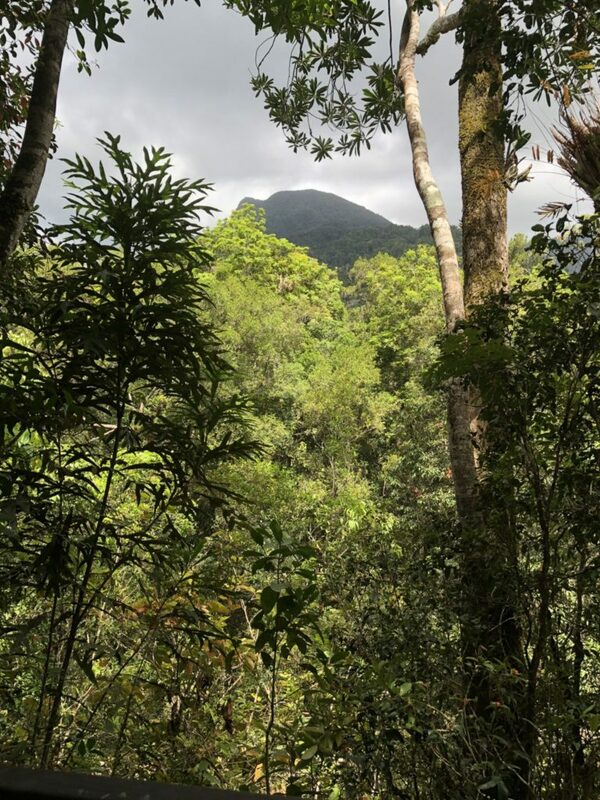 Some of the most primitive cycads, ferns and mosses are found in the Daintree National Park. 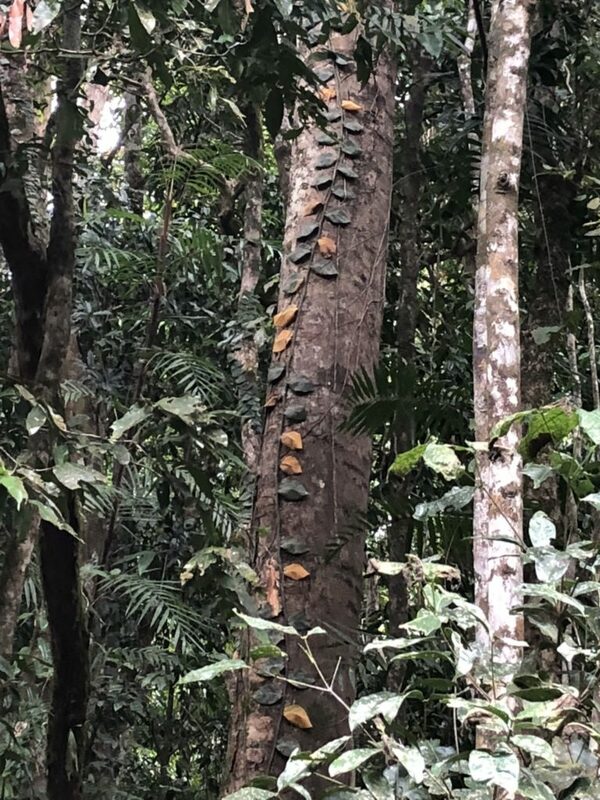 They have survived millions of years in the thick dense rainforests and provide botanists with insight into how certain species have evolved over time. 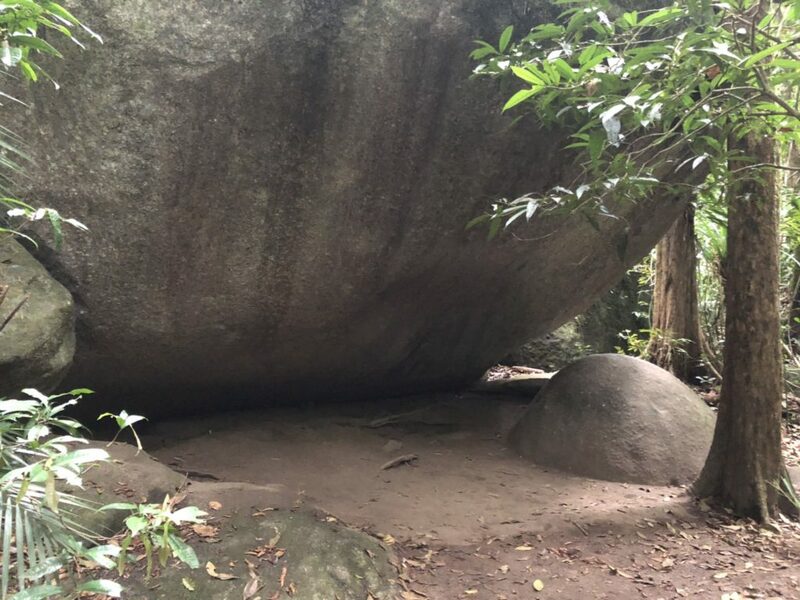 Mossman Gorge is also home to the Kuku Yalanji people who are the Indigenous inhabitants of the land and have a history dating back 50,000 years to the earliest human occupation of Australia. They are true rainforest people, living in complete harmony with their environment. 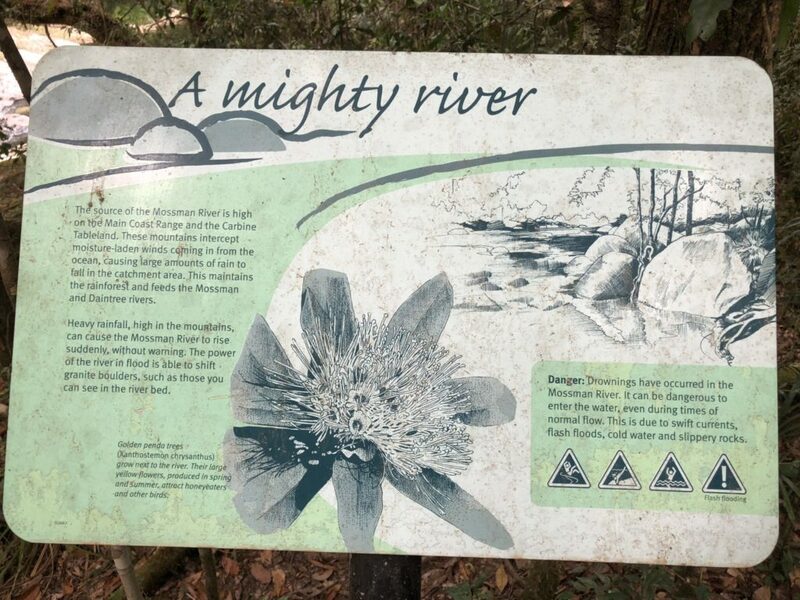 Their traditional country extends from south of Mossman to Cooktown in the north, and Palmer River in the west. This was at the end of the dry season – it would be spectacular in the wet! 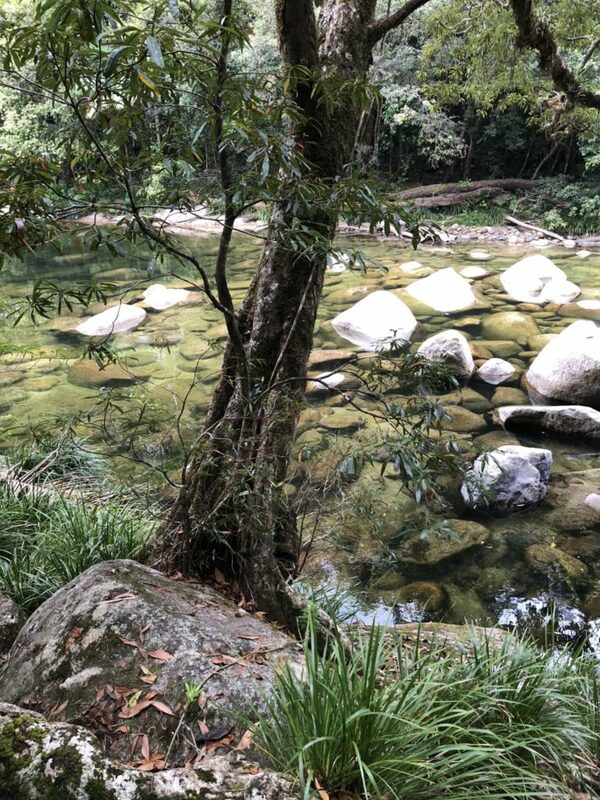 Mossman Gorge is 77km north of Cairns and 20km north of Port Douglas, and 2km from the township of Mossman. 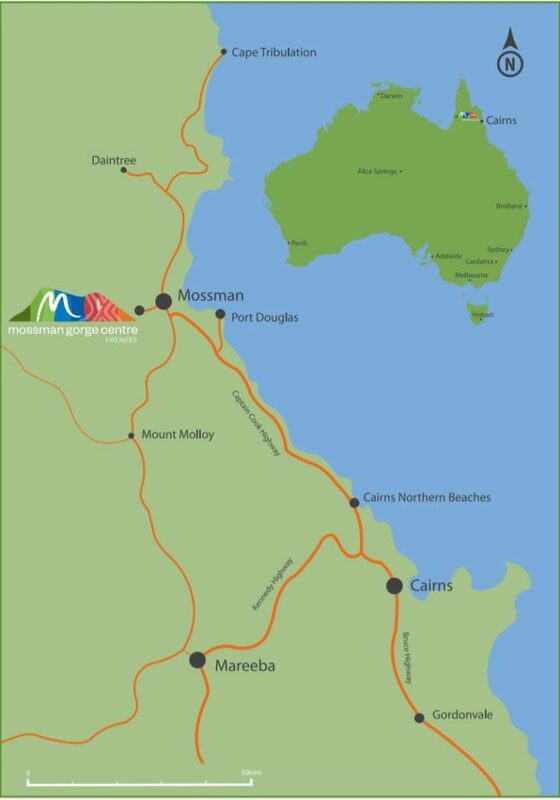 You can self-drive to the Gorge from Cairns along the Captain Cook Highway. 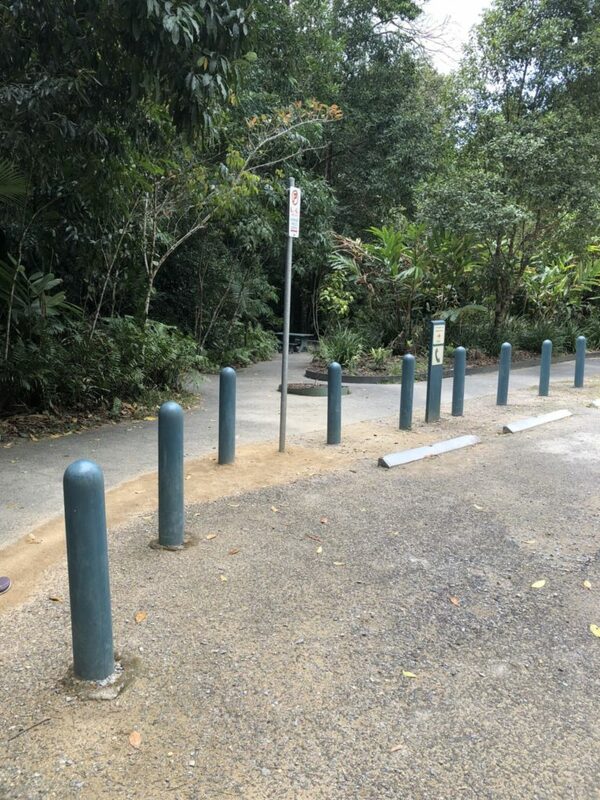 Plenty of parking is available at the Mossman Gorge Centre.